who are scouring the web looking for quality resources that can be used by educators (or parents) to teach, reinforce and review many concepts. 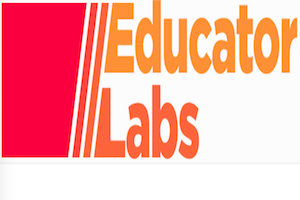 Their vision/mission includes: “EducatorLabs is comprised of school librarians and media/market research specialists who work as curators and conservators of the scholastic web…mission is to assist educators, for whom time is a precious commodity, in discovering valuable resources of substance for classroom use. We also seek to strengthen connections among the educational web by acting as courier: because of our high standards, our approach is grassroots and hands-on in nature.”They even have a resource request form which a teacher can fill out to let Educator Labs know the kinds of things that they would like to have.There are both resource banks and resource packets. The resource banks are collections of web resources organized by topics. The resource packets are “customized to your topic of interest and desired age group.”In exploring the website, I was excited to find many quality resources that I hadn’t discovered previously, such as the Hubble Deep Field Academy linked through Amazing Space (http://amazing-space.stsci.edu/ ), that helps students understand how the Hubble Telescope works and the kinds of questions astronomers are trying to answer. This same site has tools and information for educators and developers who want to teach from this website. Under the lesson plan section is a plan for teaching HTML but also an Educator’s Guide to Using HTML with some of my favorite HTML sites and some I hadn’t heard of before. This will help when I am trying to boss my Moodle activities, pages, etc. around a little to get what I want. There are many resources/links here that could help with building some quality online learning!! Hope you take time to take a look.